Have you had a chance to get out on the open road and see some of this spring’s wildflowers? They are absolutely breathtaking. Here in Texas, we are fortunate to have such a gorgeous natural landscape that welcomes us to spring each year. From Indian paintbrushes to Mexican hats, and from Texas lantana to our State Flower of Texas – the bluebonnet – we are blessed with so many beautiful wildflowers…more than 5,000 species in all! If you are looking for something to do on a lazy Saturday or Sunday afternoon, Texas Highways magazine has four wildflower road trips that are guaranteed to deliver beautiful wildflowers, breathtaking scenery, and of course, friendly folks. 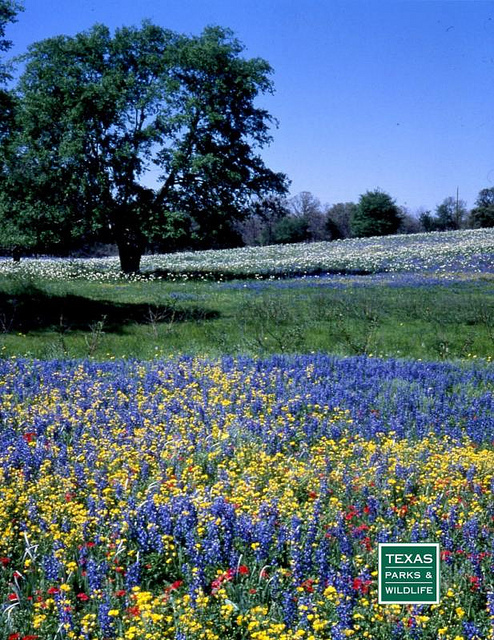 It’s a great opportunity to take a moment to appreciate our state’s native flowers and celebrate the joys of a Texas spring. Note: Photo courtesy of the Texas Parks and Wildlife Department.